We dress almost all types of fur. We can dye the fur to any colour shade, print various patterns on it and make other interesting effects. We are a company with a long tradition. Entrust us your skins, they will be in good hands. 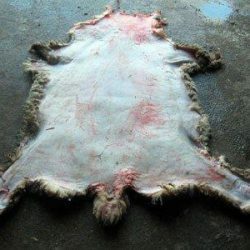 We sell dressed fur skins (such as rabbit skins, fox skins etc. ), decorative sheepskin rugs, fur plates, parchments etc. We sell skins with natural colour as well as dyed skins, skins with print and various effects. 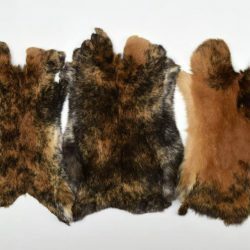 We can offer you a wide range of types of fur skins, that we have right available on our stock. We manufacture smaller products from fur and leather and also products for equestrian sport (from real sheepskins), Check our product gallery! If you don’t find exactly, what you would like to, don’t hesitate to contact us – we make also tailored products. Experience the ultimate softness of fur with us!